As the GMs meet this week in Boca, the discussion will turn to head injuries, concussions and possible tweaks to Rule 48. What strengthening of the rule they come up with is anyone’s guess. But as the regular season draws to an end and play-off spots are up for grabs, Boca may be the site of the most interesting hockey action we’ll see. 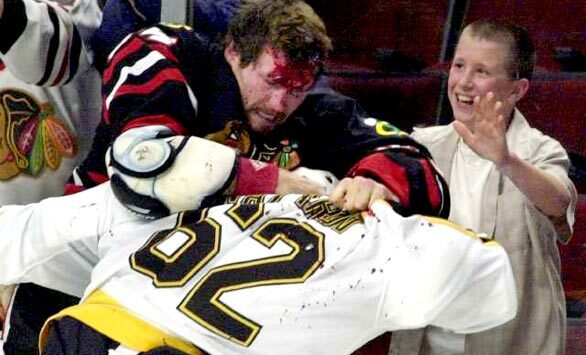 The fact that head injuries are on the agenda at all, is in no small part due to recent media attention and scrutiny: The Chara hit on Pacioretty, the lab results on Bob Probert’s brain, and the two-month absence of Sidney Crosby are among the incidents that have grabbed the headlines. All of that bad ink has a major NHL sponsor saying they may reconsider their financial support. 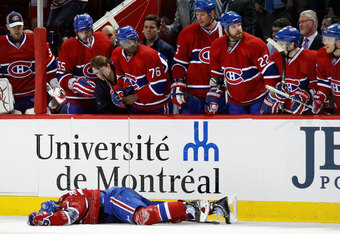 If Air Canada sneezes, does hockey catch a cold? An argument could be made that the spark that lit this brush fire was first ignited online, as evidenced by the blogs and Twitter. The mainstream sports media depend on many of the same sources as the fans do and the press has zeroed in on the social media chatter – an increasingly clamorous outcry from a passionate fan base. If it was the fans that stoked the fires, they may have more power over the direction and future of the sport than they may have imagined. Dedicated and robust online communities, no matter what subjects they embrace, often cross the line into advocacy. That can only be a good thing in the long run. The fans after all, hold the keys to the sports kingdoms; those keys are the dollars that the leagues and owners desperately seek. Maybe it’s worth taking a step back to see how another sport has grappled, successfully and not, with the issue of injuries – from minor to catastrophic and fatal. Laid side-by-side, one can chart the rise in hockey’s popularity with the continued downward spiral of the other. No, not the NFL, they have their own litany of self-inflicted wounds; this is a sad story of another sport, one that time has nearly forgotten. On its way to obscurity for a variety of reasons, much of the blame can be laid at the feet of the audience; the fans who didn’t care enough about the health and well-being of the sport’s most precious asset, the athletes. On the track, calamity lurks around every corner; death rarely takes a holiday. The human and equine athletes risk their lives every time they set foot or hoof on the track. Unlike hockey players who take to the ice with free will and intent, the racehorse lacks those attributes, but the best of them still have every bit as much determination to win. Nearly every race fan has seen a horse break down, and there are few sights more sickening in the sports world. A 1,000 pound animal moving at 30 miles per hour generates a lot of force, and in the case of the Thoroughbred, that force comes down on a pair of front legs that are not much bigger than human forearms. Sometimes a leg snap can be heard from the stands; a tangle of bodies and chaos follows. For too long race fans accepted those on-track tragedies as the “nature of the game.” They’d turn their heads and look away as track workers put up the blue screen to shield the patrons from the dirty work being performed behind it – a lethal dose of barbiturates injected into the injured horse’s heart. It sounds cruel, but the racetrack euphemism of ‘humanely destroyed,” is just that. In almost all cases, a horse cannot survive a broken leg and the only humane alternative is to euthanize it immediately. There have been times when the spotlight has been on the sport and the unimaginable happened, in living color and in living rooms across the country. In 1975, Ruffian, the greatest filly of all time, went down while facing that year’s Derby winner, Foolish Pleasure, in made-for-TV, battle-of-the-sexes, money-grubbing match race spectacle. The 1990 Breeders’ Cup saw more than one horse perish including a horrible spill that took the life of another talented filly, Go For Wand, at the top of the Belmont Park stretch, only steps away from where Ruffian was interred in the infield. Add in Barbaro’s 2006 Preakness and Eight Belles’ 2008 Derby, and you begin to get a more thorough picture of the tragedy that haunts the racetracks. Beyond the horses, racing’s human athletes also risk their lives each day, and far too many have died or been paralyzed on the track. Like hockey players, most are responsible, but there are some that could be considered bad actors – those who take unnecessary risks for themselves, their colleagues and charges. Although few in number, some are by nature exceedingly aggressive and reckless. Sound familiar? In the old days it was common for jockeys to whip each other as they made their way around the track. Pimlico got the nick name of ‘Old Hilltop’ for an infield mound that hid those shenanigans from view. In the early 20th century the mound was leveled to open up the view for fans and officials. 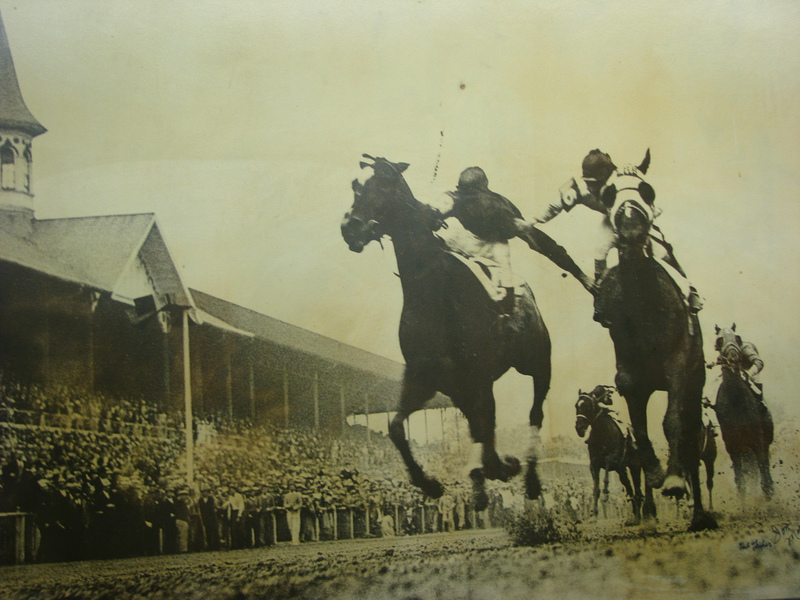 There was the ‘fighting finish’ of the 1933 Derby that saw riders Herb Fisher and Don Meade grappling and thrashing each other as their runners hit the wire. For the integrity of the sport (the wagering public), racing stopped that kind of bad behavior and cleaned up their act. And we’re not going to give a pass to the horses here either; they can be just as nasty and irascible as any brute enforcer on the ice. 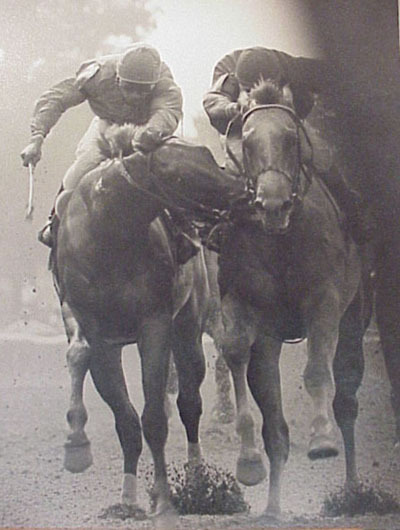 In the 1980 Tremont Stakes at Belmont, Great Prospector was caught red handed hoofed, taking a bite out of Golden Derby in the stretch. ‘Savaging’ is grounds for a DQ, loss of purse money and ban from racing, not just a meaningless misconduct call or suspension. How has racing dealt with the catastrophic equine injuries? For years, most everyone in the game turned a blind eye to the carnage and simply whistled past the graveyard. Only recently has the sport taken positive steps forward – tougher regulations on medications, a serious look at breeding and the need for speed at the expense of endurance and career longevity, and the development of more forgiving artificial racing surfaces have helped save lives. In Boca, the GMs face the similar task of improving safety and are in a good position to effect substantial change. Where racing lacks a strong league office (the NTRA is a toothless artifice), and is encumbered by an arcane patchwork quilt of individual state regulations, the NHL is a much stronger central authority. 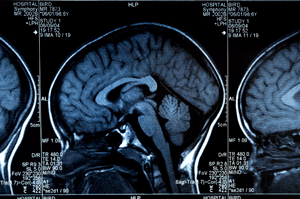 What are the impediments to change that hockey faces? Maybe it’s tradition and the fact that hard hits (and fighting) are seen as key elements in the “nature of the game,” as Ken Dryden points out in his spot-on Globe and Mail opinion piece. Some of the game’s traditionalists (and apologists?) may lean on that excuse, but the larger fan base may have moved on and are looking straight ahead and no longer in the rearview mirror. The GMs have a lot on their plate, but it seems the sport’s fans are increasingly wanting them to take the long view and are asking for a set of meaningful changes for the betterment and integrity of the game. If a sport with as rich a tradition as horse racing can change, hockey can too, but maybe it’s up to the fans to continue leading the way.